Off the court, Ben Howland couldn’t have gotten off to a better start since taking the reins at Mississippi State. 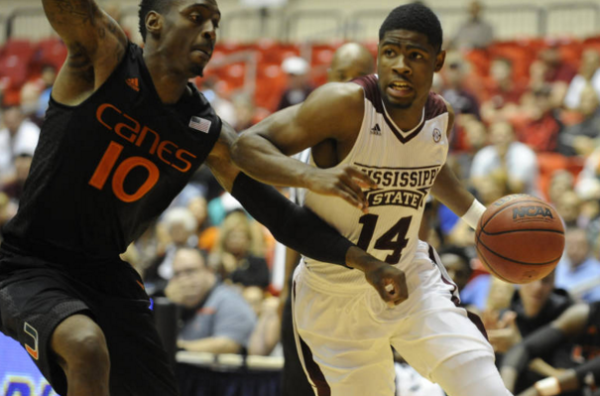 Landing McDonald’s All-American and Jackson native Malik Newman was his first well-publicized coup, and he hasn’t stopped there. The Bulldogs’ next recruiting class is rated sixth in the nation according to 247Sports and fourth according to Rivals. Signing players like Mario Kegler, Schnider Herard and Abdul Ado required Howland to beat out Bill Self, Tom Crean, Sean Miller and several other blue-blood programs. This wasn’t just a good first few months on the job; it was a great first few months on the job. We looked at the best of the AAC non-conference schedules in Part I, after explaining a bit of what makes for a good non-conference schedule. This season, there’s quite a bit more bad than good, which could drag down the collective RPIs of AAC members and ultimately lead to lower NCAA Tournament seeds come March. 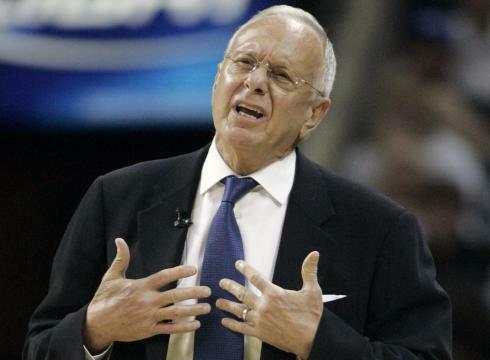 Larry Brown’s SMU Mustangs, a popular sleeper pick, have a lot riding on a trip to Virginia. Cincinnati: The Bearcats return the favor of a visit last season from MW favorite New Mexico with a road trip of their own to The Pit. They also will play former Big East rival and mid-level ACC squad Pitt at Madison Square Garden. Then… well, there’s the rivalry game with Xavier, which seems poised to finish in the bottom half of a newly constituted (read: relatively weaker) Big East; N.C. State, clearly headed toward the bottom of the ACC, and Conference USA also-ran MTSU. That trio might end up in the RPI top 100; it’s highly unlikely any other team on the schedule will come close. Louisville: If the defending champs can escape Rupp Arena with a win, all will be forgiven by both their fans and the committee, as a road win against Kentucky is perhaps the highest quality victory available in college basketball this year. Southern Miss, which finished with an RPI of #30 last season, is favored to win Conference USA. They face a potential Basketball Hall of Fame Tip-Off final against North Carolina at the Mohegan Sun. They need the Tar Heels to be there, because the rest of their foes are middling teams in weak leagues, with Charleston the most likely to crack the top 100, and several – we’re looking at you, Hofstra and UMKC – seeming likely to end up north of #300. The swag that college football teams get at bowl games may garner plenty of attention, but they are not the only college athletes to receive significant amounts of swag. Participants in the NCAA Tournament will receive an estimated $750,000 in gifts with the value of the gifts escalating if teams make it to the Final Four. Unlike college football (at least to our knowledge) the gifts are not limited to just teams that make the equivalent of a bowl game (the NCAA Tournament) as players in nearly every conference tournament will be taking home gifts ranging for t-shirts to televisions. We won’t try to argue that this is comparable to a stipend that many are advocating, but it is a nice bonus. All programs are subject to up and down periods, but mid-majors are more subject to these extremes than most teams in power conferences and Siena is a prime example. It was not that long ago that the Saints made three straight NCAA Tournaments (2008-10), but once Fran McCaffery left things went downhill quickly as they went 35-59 in the following three seasons and yesterday that led to the firing of Mitch Buonaguro, McCaffery’s lead assistant and replacement. Given the sudden drop-off that the program experienced and the lack of progress the team showed in regaining its former glory the decision should not be too surprising. We doubt that we will see Siena reach the heights they saw under McCaffery, but the initiative the administration has shown and the tradition that McCaffery built should make it an appealing destination for a long-time assistant looking for his first job or a coach at a mid-major looking to move up in the college basketball world. We wish we could say the same about UMKC, which fired Matt Brown yesterday, but we are must more skeptical that the Kangaroos (yes, that is actually their nickname) will become a real mid-major threat. Even that lowered expectation was not enough to save the job of Brown, who went 64-122 in six seasons including 8-24 this season. Looking through Brown’s record at UMKC it is not hard to see why Brown was fired even with what we would expect are fairly low expectations at a school that has the misfortune of being surrounded by three basketball powerhouses. We have not seen many significant recruits opt to go the overseas rather than head to college (Brandon Jennings is the most notable exception), but Seton Hall commit Aquille Carr appears to joining that small group. The decision is not exactly shocking for people who have followed Carr closely as the 5’6″ guard had previously mentioned playing in Europe and his arrest last summer for assault and reckless endangerment raised further questions about whether he would end up on a college campus. Still Carr’s decision is the latest in a series of blows for Seton Hall coach Kevin Willard, who went 3-15 in the Big East this season and now has lost two of the guards he was looking forward to bringing to campus next season (both also already carried criminal charges). With the regular season winding down every analyst’s rankings becomes a little less hot debated as we are finally getting to the point of the season where teams control their “ranking” based on what they do on the court rather than how impressive they are in doing so. That does not mean that Luke Winn’s Power Rankings are not as useful as ever with their usual wealth of information. Winn decided to go a little heavier in terms of subjective rankings than usual to offer his Player of the Year, Coach of the Year, and Freshman of the Year ballots, but he still has plenty of other interesting data including an analysis of how unique Gonzaga’s offensive distribution is and showing just how badly Florida’s guards are shooting. Brian Goodman is an RTC editor. He filed this report from Municipal Auditorium, home to more Final Fours (nine) than any other NCAA site, and where Nate Wolters continued his high-level play as one of the country’s top guards Thursday night. 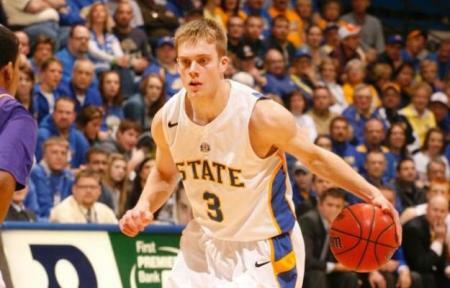 South Dakota State head coach Scott Nagy lined up a challenging non-conference schedule for his Jackrabbits with road games at Minnesota, New Mexico, Alabama, Belmont, and Hofstra this season. Senior guard Nate Wolters shined through it all, scoring and assisting in nearly every way imaginable despite steep competition and big audiences. While the start of conference play means more nationally meaningful games for power league teams, the opposite is true for the toiling Summit League in which SDSU plays, a perennial one-bid conference, but that isn’t an excuse to let Wolters return to obscurity for the 10 weeks between now and March Madness. In fact, if his recent play is any indication, he may be nearing the peak of a storybook career worthy of more attention than ever. Wolters came into Thursday’s game against UMKC on the heels of two 25-point games, a win at New Mexico and a loss to North Dakota State. He continued his high-efficiency play with a marvelous night against the Kangaroos. The Jackrabbits led wire-to-wire and left Municipal Auditorium with a 77-61 win that wasn’t even that close, and it was during a big run in the final minutes of the first half when Wolters went to work on his nightly highlight reel. The Jackrabbits ignited an 18-0 run over the last 5:28 of the first half, with Wolters having a hand in all but three of those points. Whether it was finishing through contact, turning defense into offense with steals and dishes in transition, threading the needle, hitting set shots from the perimeter, or converting from the line, he made all of it look easy. Perhaps most impressive was Wolters’ demeanor. The arena’s sparse attendance made sneaker squeaks, bench banter, and coaches’ instructions easily audible, but there was hardly a peep by Wolters all night despite the fact that he plays a position where communication is hugely important. He let his game do all the talking, and it roared on Thursday night. By the time the game was finished, Wolters had a sterling, stat-stuffing line: 23 points, seven assists, six rebounds, four steals, and just one turnover in 36 minutes of action. Collision Course: Oral Roberts and South Dakota State have set the stage for a fantastic final two weeks in regular season play. 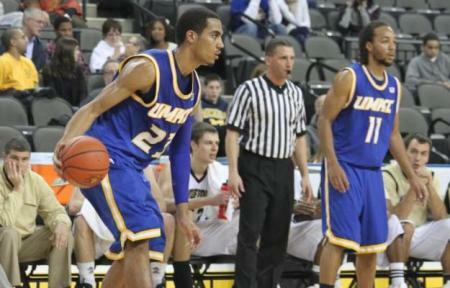 After splitting the season series, the Jackrabbits are just a game behind the Golden Eagles. Both teams are in the top-60 in RPI, both are ranked in the mid-major Top-25 , and both have an NBA-level talent in Dominique Morrison and Nate Wolters. This is setting up nicely for a rubber match in Sioux Falls on March 6. Mo’ D-Mo: Morrison is closing in on 2,000 points for his career, which is some rarefied air in the Summit League. Just 11 players in the 30-year history of the conference have reached 2,000. IUPUI’s Alex Young was the latest to do so, and he is the active points leader in the nation with 2,142. This season has been opportunity to showcase some of the most impressive talent this conference has ever seen. Competition To Come: Oral Roberts will face Akron in one of the 13 nationally televised ESPN BracketBuster games on February 18. Before the loss to South Dakota State, I would have said this game had big at-large implications, but now the Golden Eagles will really just be playing spoiler for the Zips. 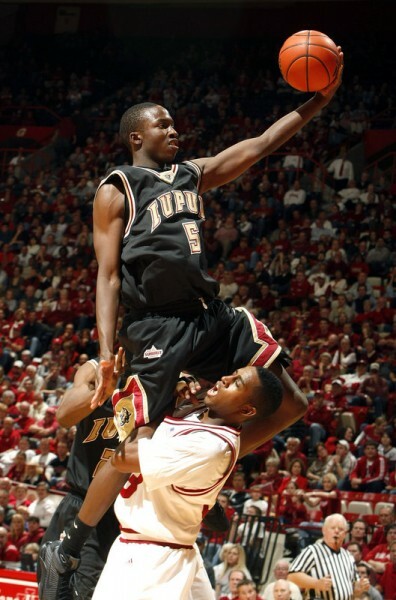 I think Oral Roberts should still be considered a contender for an at-large, and saying otherwise shows some major disrespect for the Summit League. However, I am not on the selection committee. A win will be good publicity for the Summit League, but Oral Roberts still needs to win the conference tournament to go dancing. Keep an eye out for South Dakota State on ESPNU as well. IUPUI's Alex Young Has A Loyal Following Of Pro Scouts. Records reflect only games against Division I opponents through Wednesday. 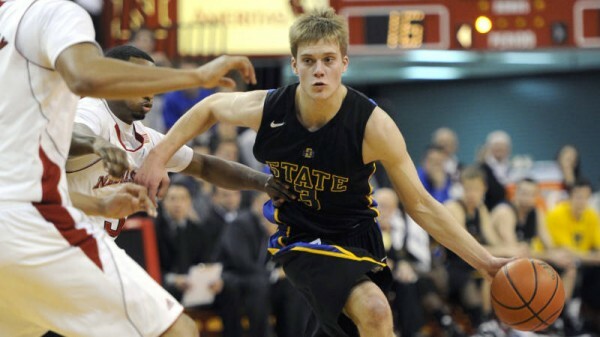 Oral Roberts (21-5, 13-1) — South Dakota State is a tough place to play, and losing to the Jackrabbits is not as bad as it looks. They landed a haymaker against the Jacks in the Mabee Center back in January and SDSU answered back with one of their own. The Golden Eagles bounced back with a road win against the third-place Bison, gaining some confidence for the home stretch. No one has ever finished the regular season perfect in the Summit League, and you knew they had to lose eventually. The Jacks were actually the best conference team they could have lost to. The Golden Eagles’ RPI actually went up after the loss. 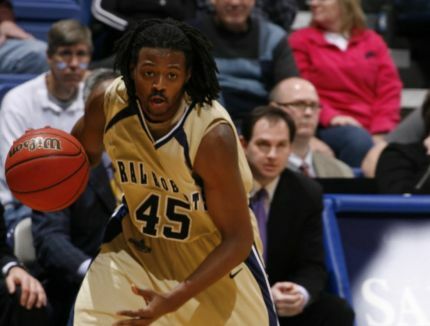 ORU is hot right now, shooting just under 50% as a team, good enough for tenth in the nation. Charlie Parks is the RTC correspondent for The Summit League. You can follow him on Twitter @CharlieParksRTC. League Continues To Impress: If you still underestimate the Summit League, I have some news for you. On January 24, The Summit League was ranked No. 15 in the Collegiate Basketball News RPI (rpiratings.com) and No. 17 in the Sagarin Ratings. The Summit League has a winning percentage of .500 or better against 15 of the 17 mid-major conferences its teams have played this season, a .506 winning percentage against non-league Division I opposition and a .585 winning percentage against all non-league competition. Still not convinced? How about five players currently among the NCAA’s Top 15 in scoring average, more than any other Division I conference. IUPUI’s Alex Young owned the nation’s highest single-game scoring total this season (43), and he is the active points leader in the nation. Oral Roberts is making the most noise nationally, but whomever emerges from the conference will be a challenge for anyone in the Big Dance. Can Dominique Morrison Lead The Golden Eagles To An Undefeated Conference Mark? Golden Eagles Flying High: Oral Roberts enters the week having won 17 consecutive Summit League games dating back to last season, The Golden Eagles are closing in on Oakland’s record of 20 games set during the 2009-11 seasons. Oral Roberts (18-4, 10-0) — Dominique Morrison has led the Golden Eagles to one of the best starts in school history, but they have a daunting road trip ahead when they travel to the Dakotas for back-to-back games. If they can survive early February without a blemish, they’ll have a strong chance to finish with the first undefeated record in conference history. 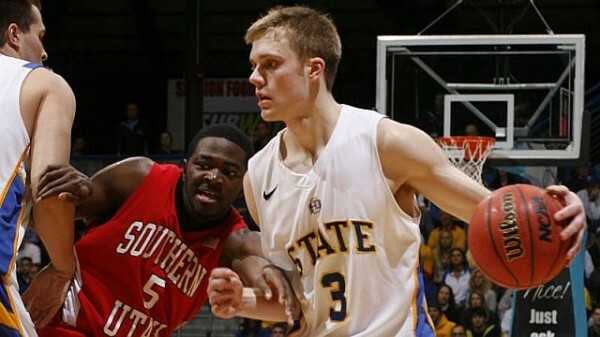 South Dakota State (13-5, 8-1) — They have not lost since the meltdown at ORU, and although that game made them fade into the background, they are still a talented and dangerous team. ORU is in the top-45 in RPI, but the Rabbits are right on their heels in the top-60. Golden Eagles beware; there are no free-passes.